Marsa Alam is a gorgeous resort town in Egypt. Home to more than 10,000 residents, the destination offers an exceptional combination of the quiet town lifestyle and wonderful outdoor activities. 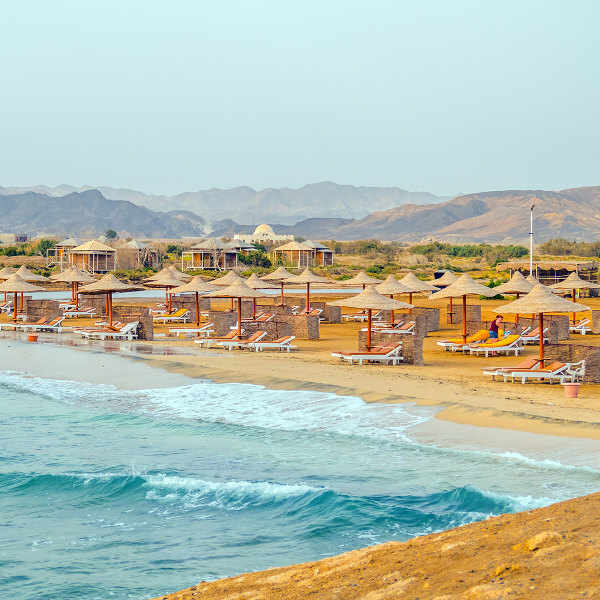 Marsa Alam is where charming beaches, enticing tours and fascinating marine wildlife await. Top attractions include Sharm El Luli Beach, Elphinstone Reef and Aqua Coraya Theme Park. Start finalising your next holiday plans for an adventure into Egypt, because cheap flights to Marsa Alam are available for a limited time! Marsa Alam is home to Marsa Alam International Airport (RMF), which is a 55-minute drive from the Marsa Alam city centre. Historic tours are available from Marsa Alam, taking you to Egypt’s major sites. 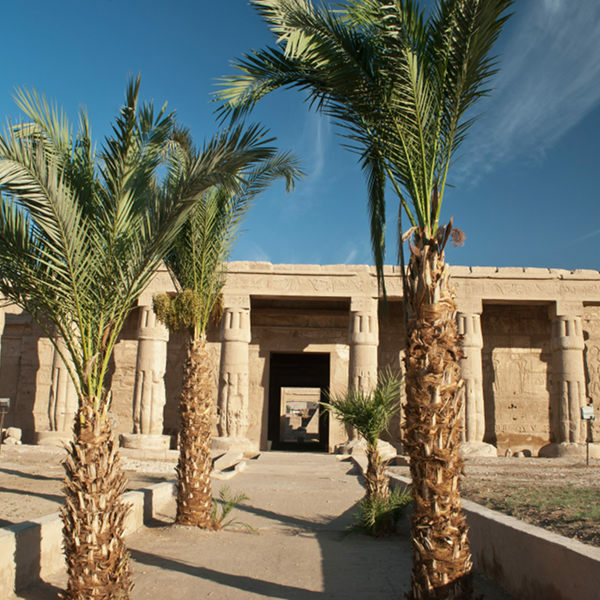 Explore Temple of Seti at Khanais near Luxor and the Ottoman Fort in El Qoseir. 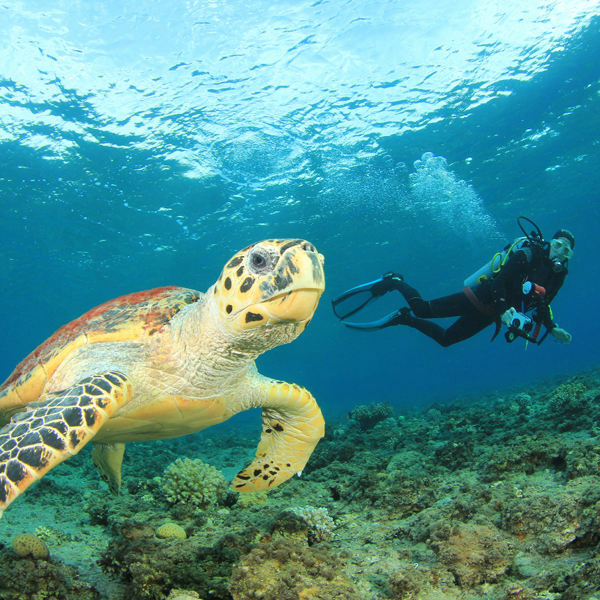 The many diving spots around Marsa Alam will treat you to amazing sights of many turtles, dugongs (sea cows), several shark species, manta rays, and dolphins. Thanks to its position along the Red Sea, Marsa Alam is home to some of the most gorgeous beaches in Egypt, such as Sharm El Luli and Marsa Shoona Bay. As an Egyptian destination, Marsa Alam experiences the hot summers (March – November) that are typical of the country. The winds from the Red Sea counter these hot conditions. Despite the slightly cooler summers than the interior of Egypt, the best activities to pursue include snorkelling and diving. During Coptic Easter celebrations in early April, make sure to experience Egypt’s only modern music event, the 3alganoob Music Festival. Winter (December – February) offers pleasantly milder yet warm temperatures and is still a great time for swimming and diving. Alternatively, winter is an ideal time to go on the various tours to the historic sites in and beyond Marsa Alam. The town experiences very little rainfall throughout the year. The best time to visit Marsa Alam depends on your holiday plans. Situated along the Red Sea, Marsa Alam is a resort town famous for its sandy beaches and coral reefs. The town itself offers a relaxed and peaceful ambience, which contrasts with the great water sports you can enjoy along the coast. Marsa Alam boasts an excellent selection of diving sites, including Elphinstone (a great place to spot various species of sharks), Rocky Island (offering a 25-metre drop off the island’s eastern side), and Hamada (which gives you the opportunity to explore a 65m-long shipwreck). Abu Dabab Bay, another wonderful diving spot, offers the chance to spot hawksbill turtles, crocodilefish and octopuses. Further inland, you will find attractions such as the Aqua Coraya, a theme park that makes for an exciting activity for the entire family. As with most Egyptian destinations, Marsa Alam is home to an archaeological site, Berenice, which was an important harbour and trading post from the 3rd to 5th century AD. Marsa Alam is also a great base from which to explore the southern parts of Egypt’s huge Eastern Desert. This desert was where gold and emeralds were once mined by the Romans in the mineral-rich mountains of the interior. Tours are available to other historic sites of Egypt, including Temple of Seti I at Khanais as well as the other monuments around Luxor. Compare several airlines and book your cheap flights to Marsa Alam online with Travelstart! You will not need to take any mandatory vaccinations before entering Egypt. Major health institutions, such as the CDC, however, recommend that you take care to guard against typhoid and hepatitis A. Contaminated food and water can be an issue. During the summer, take care to avoid raw foods. Only use bottled water for consumption. Marsa Alam enjoys a high level of safety, however, you should take care as with any destination around the world. Since the dominant religion in the town is Islam, be respectful of the traditions by dressing conservatively and avoiding exposing skin, especially your legs and shoulders.